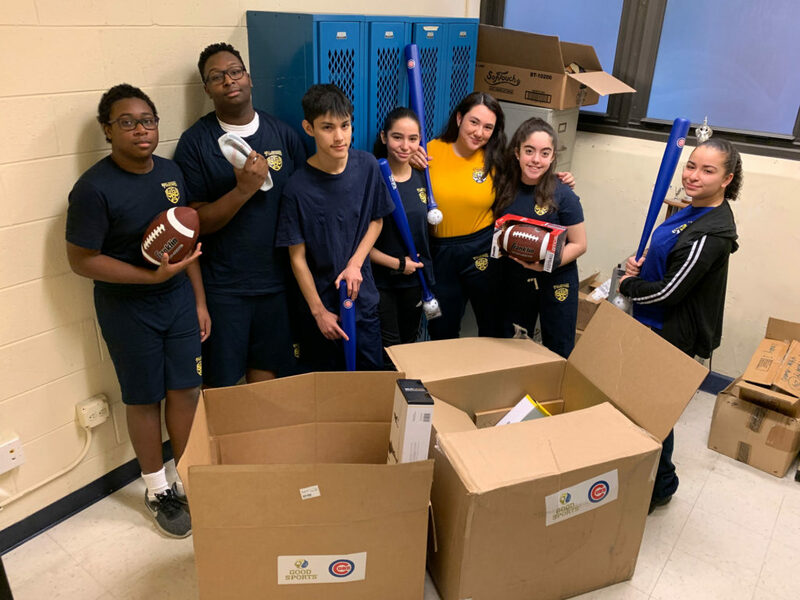 The Chicago Cubs and national nonprofit Good Sports have delivered a brand-new sports equipment kit to Holy Trinity. HT is one of 110 schools in Chicago to receive a kit in support of our physical education program. Each kit is valued at $1,000. This donation is part of a relationship between Cubs Charities and Good Sports in support of local youth in Chicago. For more information on the partnership, please visit goodsports.org/cubs-charities.